Mary appears at her one-woman show at the Artists' Guild Gallery, San Francisco, 1947. Top: In the 1970s she would sculpt this menacing 'Temko Lion,' no doubt inspired by her love of cats. 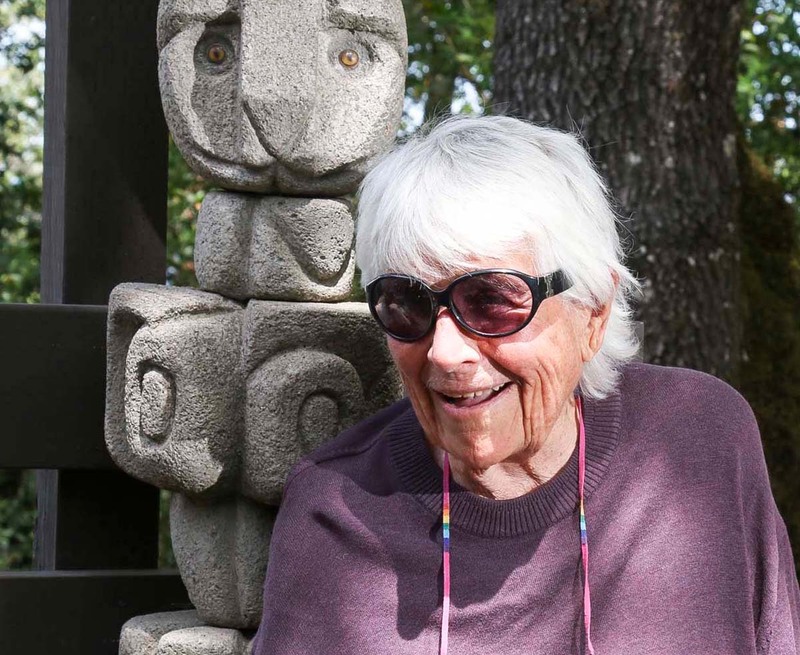 Mary Fuller McChesney today, at her Sonoma home that doubles as a sculpture park. In the beginning the art life looked easy for young Mary Fuller. 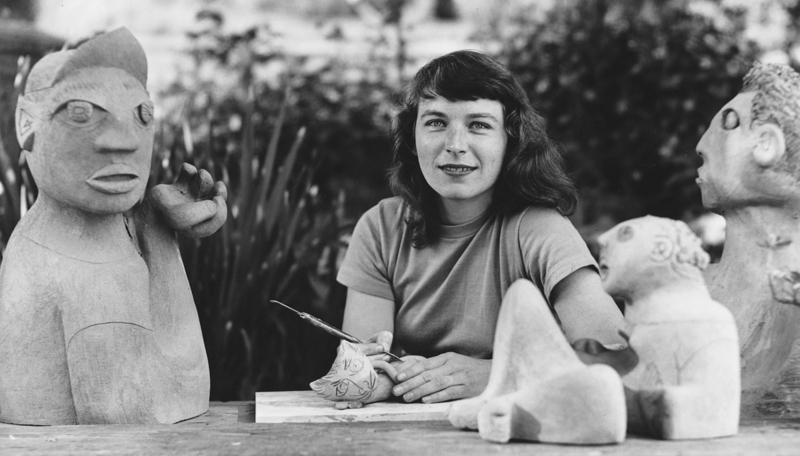 A girl from a tough background, here she was in her mid-20s, shortly after World War II, creating ceramics that sold to Gump's, the San Francisco luxury home-furnishings retailer, making enough money to buy a house with her boyfriend and partner in clay. She won first prize in sculpture for an image of an African woman in 1947 from the City's prestigious department store City of Paris. That same year, one of Fuller's watercolors was shown at the San Francisco Museum of Art's show—and it found a buyer. And this was a girl who'd never studied art and had rarely gone to museums. "Mary Fuller makes a successful debut," wrote People's World, the Communist Party USA's newspaper, in 1947. Her painting 'Street Corner' "conveys a strong feeling of sympathy for the underprivileged youth of the city," the paper wrote. "The story is told without recourse to melodrama. A couple of patterned-out cats scratching around a garbage can: this tells the story convincingly." 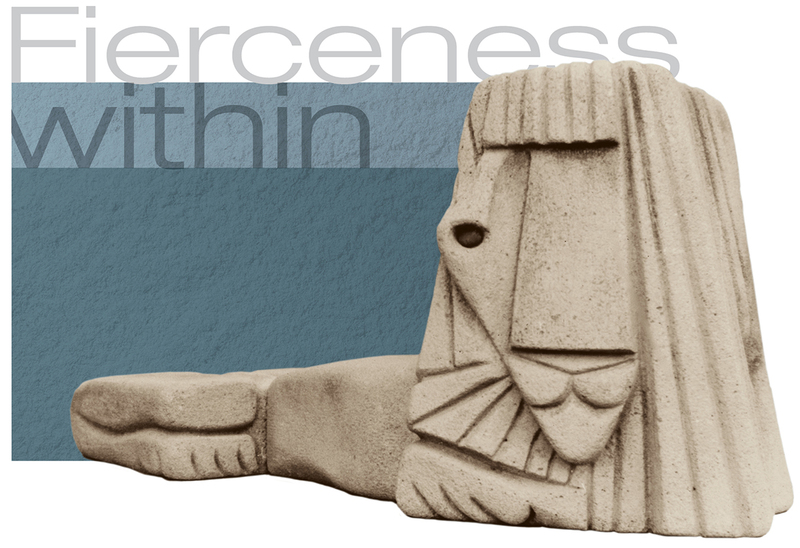 The critic for the San Francisco Chronicle hedged his bets, praising her sculptures more than her paintings and noting, "even here she seems not to have yet achieved the success of which she is no doubt capable." Sixty-eight years later, Mary Fuller McChesney remains a working artist, feisty and outspoken, still inveighing against corrupt politicians, corrupt game wardens, and art dealers—"hustlers out to make a buck."